Sam Davidson has been involved in agriculture all his life. Raised on a farm in North Canterbury, he graduated from Lincoln University with a DipAg and Dip FMGT in 1983, before spending 23 years as a stock agent in the Hawke’s Bay, Manawatu and Canterbury regions. 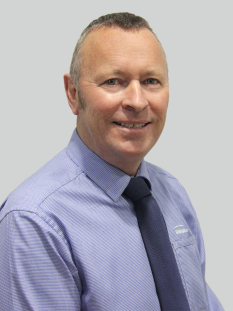 More recently, from 2000 to 2009, he worked alongside Canterbury’s dairy farmers as a stock agent, initially for Rural Livestock, then for PGG Wrightson. In 2009, he transferred his agricultural expertise from stock agency to the property sector. Since then, he has focused on assisting farmers to buy and sell land. He was named PGG Wrightson Real Estate’s “Rookie of the Year” for 2009/2010 and has since consistently been one of PGG Wrightson Real Estate’s top performers. Sam’s lifelong commitment and deep understanding of every facet of agriculture in Canterbury, and the dairy industry in particular, enable him to work confidently and effectively with farmers in every situation. His experience gives him the strategies to overcome most of the property challenges his clients face, and his extensive professional networks provide him with the means to carry out those strategies on his clients’ behalf.